Steve Griffin | The Salt Lake Tribune Riders disembark a train at the Farmington's Station Park and Ride/FrontRunner Station Monday, November 17, 2014 in Farmington, Utah. Mayors, county commissioners and business leaders gathered at the station to call for more funding for transportation in Utah. The Utah Transit Authority is changing the schedule for nearly all of its bus and train routes beginning Sunday, caused by implementation of a new safety system on the FrontRunner commuter rail system. 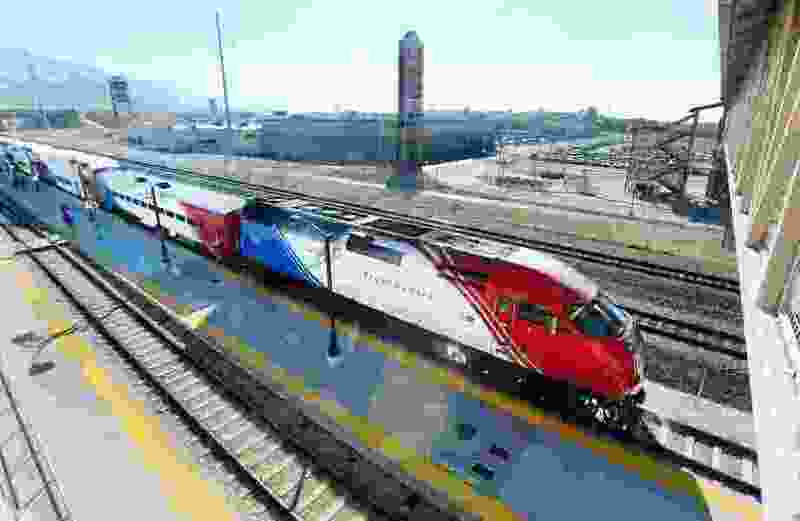 It integrates computer, satellite and radio technology to automatically slow trains moving too fast, to help them avoid collisions with other trains or to stop them from entering work zones or passing switches left in the wrong position. With that system, FrontRunner will take slightly more time to travel between Provo and Ogden. So schedules for most bus routes and all TRAX lines will change to coordinate with FrontRunner schedules. Changed times are available online at rideuta.com, or by calling 801-RIDE-UTA. Some other changes are occurring Sunday, besides those designed to improve connections with FrontRunner and TRAX. In Salt Lake County, Route 307, the Cottonwood Heights fast bus, has shortened its route. Route 209 on 900 East will add a northbound morning trip, and Route 201 on 2100 South will add a westbound evening trip. The Route 470 Ogden-Salt Lake City bus will serve the Lagoon Campground on Sundays and Ogden’s Midtown Clinic on Saturdays and Sundays. Ski service to Big and Little Cottonwood Canyons also ends for the season on Saturday.